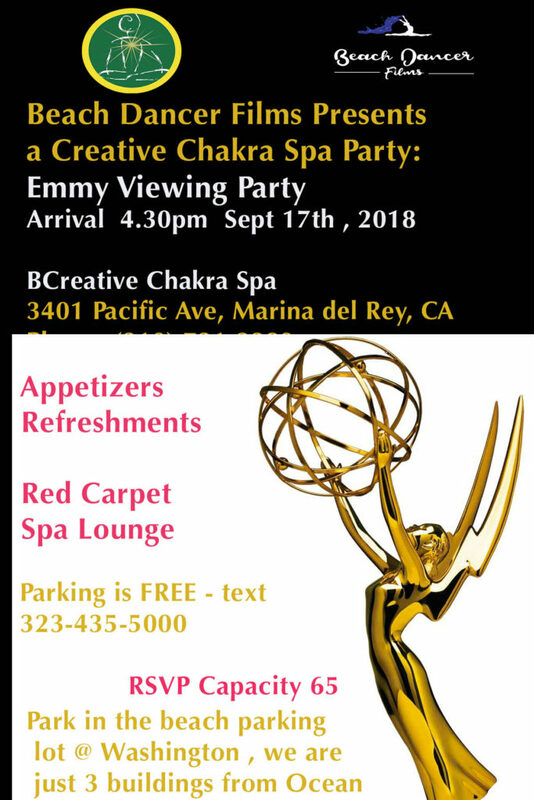 The Award Season is coming to a close and at Beach Dancer Films we are sponsoring a screening and seating for up to 65. You can host your own screening there anytime. There will be a Red Carpet for photo ops. Come and mingle with your peers and join us in the excitement of this years Oscars. 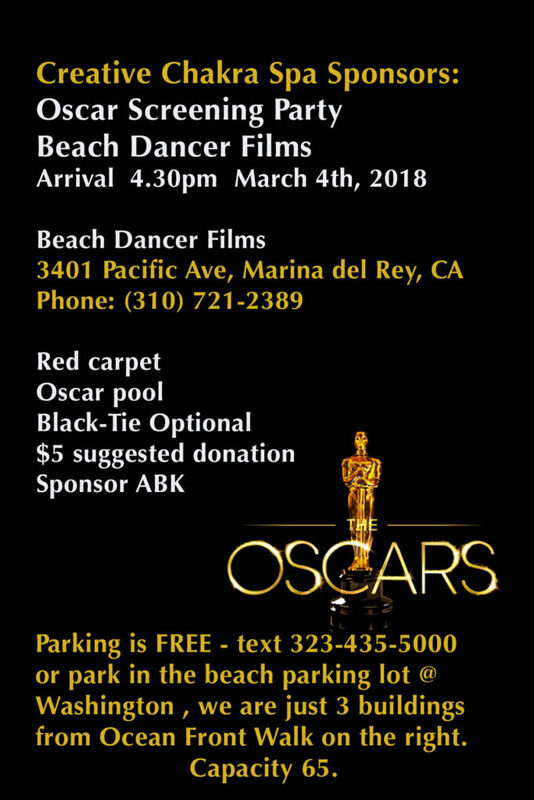 There will be a oscar pool and a donation of $5 is suggested which includes one drink ticket or simply BYOB and snacks welcome. There is nothing more fun than this, casual, laid back beach style but black tie is also suggested, mainly for fun! This Sunday and catch a beach sunset too while you are here. Be sure to book your spa treatments before or after for a bit of relaxation and some beach glamor. FREE PARKING DETAILS: park anywhere west of Lincoln and TEXT this number for pick up from your car approximately 10 mins.